As part of our Construction Imaginative Play week on our blog we’ve been enjoying playing with the Giant Road Jigsaw by Orchard Toys. It almost doesn’t seem right calling the Giant Road Jigsaw a ‘jigsaw’ as we’ve discovered it is a lot more than that! Made up of 20, beautifully designed pieces Children can create numerous different types of roads and junctions by connecting the interchangeable pieces together. It can then be used race toy cars round! 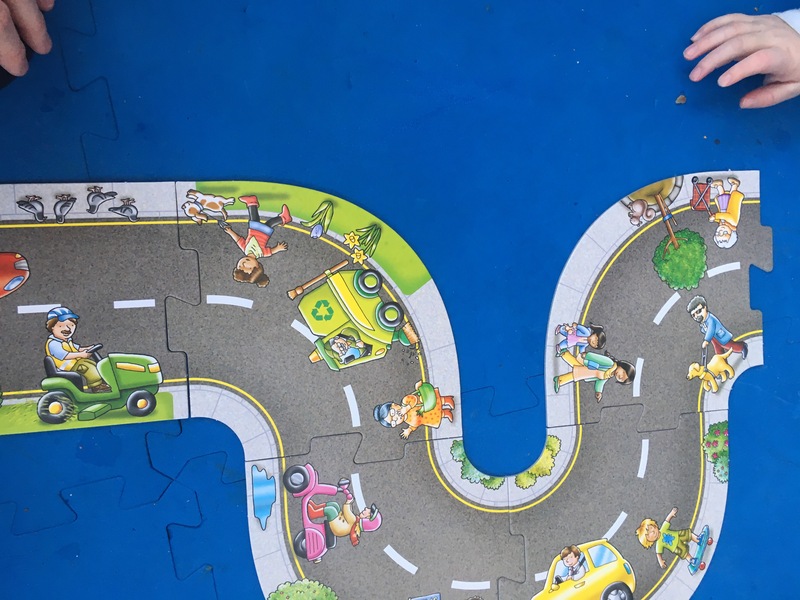 Interchangeable Pieces– my favourite aspect of The Giant Road Jigsaw is that every piece fits to every piece-making it easier for young children and much less frustrating. Because is this, The Giant Road Jigsaw is the first Jigsaw my youngest has been able to do. Detailed Illustrations-we loved the detail of the pictures on each piece, featuring everything from pigeons to police officers. This feature is fantastic for developing speech, language and communication skills- as it prompts discussion and inspires intrigue. Reinforces Road Safety– The junctions and crossing a on the jigsaw allow parents and educators to reinforce the rules of the road and road safety through play. Develops Imaginative Play- Imaginative Play is important for helping children to make sense of the world we live in. The Giant Road Jigsaw transports (!) children into a pretend world of roads, where they can be the construction workers building the road and drivers navigating their toy cars around the bends and junctions. Thanks the comment, it really is a fun puzzle. And you’re right Orchard Toys are great. We love orchard toys and in fact this was a very popular toy in our house played with many a time. 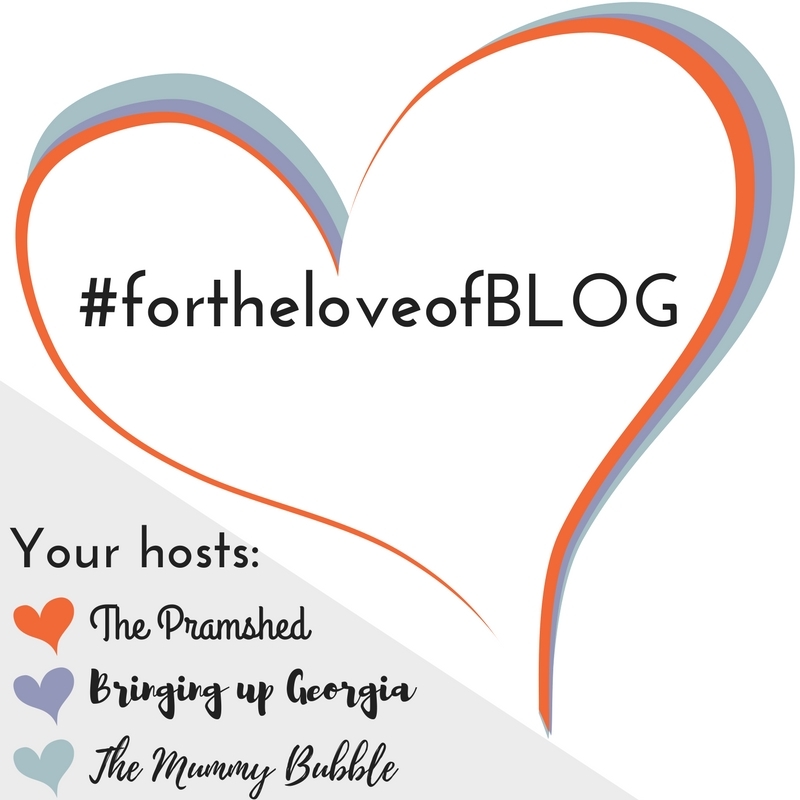 will be getting one again for out youngest as the eldest who has asd chewed ours to bits #Blogstravaganza. I love the fact every piece fits. What a sense of achievement for little ones! #thesatsesh ooohhh partial to a jigsaw and this one doesn’t have the issue i have with most jigs…you spend all that time popping it together, it takes up space and ultimately does nothing. I love the illustrations and how it’s suitable for diverse play. thanks for joining us.